I've had two babies now, and with each one I've ended up bigger than I was before I had the baby. It just happened, particularly with Noah. I don't blame it on the baby because ironically in the weeks and first months following his birth I went straight back to my pre-baby self. But I blame boredom eating during maternity leave, low self esteem and snacking on crap because I didn't have enough time to make something from scratch. I'm sure many women have been in the same boat and should I have another baby in my life, I'd probably fall into the same trap. I am ok with that. *gasp*. There is SO much pressure to bounce back to your pre-baby weight and that as Mums you should want to look how you did before you had children, but does anyone stop to think - we might not want to? I have seen a lot of talk lately, whether they're from magazines, newspapers, bloggers or just general comments across social media about women losing the baby weight, some have claimed women who don't are lazy and others suggest they're not doing enough. I think it's down right insulting and rude, if someone was to go through major surgery and pack on a few pounds I'm sure nobody would bat an eyelid, so why all this pressure on new mums? Yes we get it, you're no longer pregnant so come on, there isn't an *excuse* to be carrying the extra pounds, for me, my baby isn't an excuse it's a valid reason. You carry extra weight because you're carrying a life and all of it's life support, from waters and fluid to placenta, all of that adds up so naturally you are going to be heavier. Just like it takes time when pregnant to start gaining the weight, it's going to take some months to loose it too, and that's perfectly fine with me. Suggesting mums are too lazy to lose the body weight is crazy. Don't get me wrong there are opportunities I could utilise but if you can name me one parent to a new baby, whether it's her first, second or fifth child that has time to sit around and do nothing every day then I would be shocked. Sure my kids go to bed in an evening, but I have washing to do, food to cook, dishes to clean, a house to hoover and the next day to prepare for. That's before I even begin to think about luxuries such as a relaxing bath, watching my favourite TV show or spending time with my other half (not so luxurious I know). That's the honest truth. I wish I could afford time to be selfish and head off to the gym for 2-3 hours every evening, I probably could if I pushed it, but at what cost? What I would have to sacrifice in return just isn't worth it for me. I get that instead of playing shopkeepers with my toddler I could be doing squats, or when my baby has a nap instead of batch cooking meals I could prep meals for myself - but my mind just doesn't work like that. There is far too much pressure on mums to sacrifice what they want for what society deems they should want aka. a hot bod. 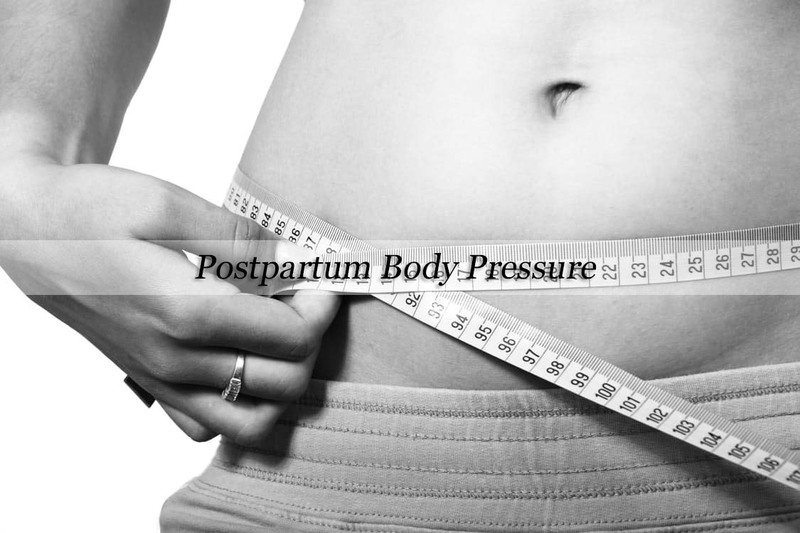 I recently set up a poll across my Twitter, and out of 60 people who responded, 78% said they felt pressured into loosing weight postpartum. I find the results appalling. Giving birth is the most monumental thing you can put your body through as a women, so to immediately face added pressure from others around us, once you've given birth - I find horrendous. Lets face it, childbirth wreaks absolute havoc on our bodies no matter which exit route your child chose to take into the world, hips widen, tummys stretch and quite often there are war wounds. To be expected to be up and raring to lose weight a mere six weeks later is insane, at six weeks postpartum I was exhausted, bleeding and couldn't have a bowel movement without crying in pain. Life was tough, so seeing articles and posts shaming women for not wanting to lose weight is sad. Some ladies are desperate to shed those extra pounds but just simply cannot manage it. That's ok. If you are up and raring to get to the gym, well done that is fantastic, but please don't shame other women into feeling as though they should do the same, that' isn't ok. Like I said, our bodies do amazing, fantastic things, mine has brought me two beautiful boys into this world, if all I've gained from that is a mum-tum and some stretchmarks then I am in absolutely no rush to change that in order to fit societies or 'Becky, from gym bunny mummys' expectations. So true and refreshing to read. Definatly agree with not blaming the baby too. I went back to size 8 and fit in my skinny jeans not too long after my baby but now 4 months on Im sat with a chunk of cheese in one hand a baby bottle in the other and piling the weight on!! I'm the complete opposite. I never gained much weight when pregnant due to sickness throughout. People always comment on how "thin" I look. It drives me crazy. Wish everyone didn't feel the need to comment on body shapes. My daughter is 7 months old and I am still at least a stone heavier than I should be. That said, I probably could try harder! I have had 3 children in 6 years. I have never been slim but my stomach is not what it was. Thing is I don't care! yes I would love to be able to loose a little bit of weight but I'm not embarrassed about my stretchmarks etc.